EasyDNA is an international DNA testing company that specialises in offering reliable, accurate and confidential testing services to both the private and public sector all over the world. The founders of EasyDNA have been involved in this industry for over ten years and have capitalised on this experience to develop EasyDNA into a leading DNA testing service provider. EasyDNA now operates through an international network of offices in over twenty countries. To view a list of our office locations or find the office nearest to you, please visit our contacts page. At EasyDNA the quality of our service is of utmost importance. We offer high quality tests through our internationally accredited laboratory that is backed by a team of highly experienced scientists. Our laboratory has in fact performed over 250,000 DNA tests over the years and therefore it has the necessary experience to handle a wide range of differing cases. 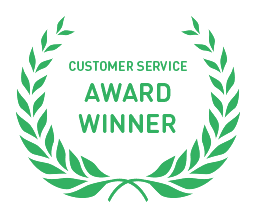 At EasyDNA we also offer excellent levels of customer service. We understand that ordering a DNA test can be a very sensitive and trying experience, and therefore we are constantly at hand to provide you with all the information you require and to guide you through the process on a step-by-step basis. We have also provided extensive information on our website to ensure that this information is readily available online. EasyDNA has also featured in a number of TV programmes, soap operas and radio interviews. Moreover, the company’s services where also requested to help solve high-brow DNA testing cases involving well-known people. To read more about this, visit our media page. At EasyDNA we offer a diverse portfolio of DNA testing services to cover a wide range of cases. Whilst our most common test remains the home paternity test, we also offer extensive DNA relationship testing including twin zygosity testing, that can help determine a wide range of relationships. In addition, our experienced DNA forensic team is able to offer state-of-the-art DNA forensic services, enabling us to process a wide variety of samples ranging from hair and blood to teeth and bones.